CONCORD, N.C. (Friday, May 18, 2012) – The all-new Dodge Dart is ready to fly. Literally. And with four-time Rally America champion and action sports legend Travis Pastrana behind the wheel of the custom-built 600-horsepower, turbocharged Dodge entry in the Global RallyCross Championship (GRC), anything is possible. Pastrana, 28, leads a contingent of “who’s who” action sports icons in the ultimate clash of big air meets high-speed at the inaugural 2012 Global Rallycross Championship (GRC) event at Charlotte (N.C.) Motor Speedway Saturday night, May 26. 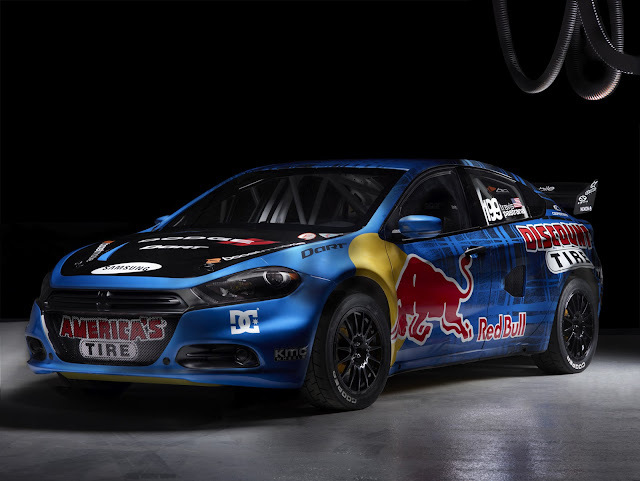 Dodge and Pastrana have teamed with sponsors Red Bull and Discount Tire to compete in the newly formed GRC Series. The series schedule includes seven events, five of which will be held at Speedway Motorsports Incorporated (SMI) tracks. 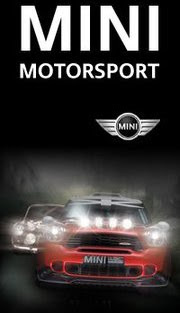 The X Game gold medalist and four-time Rally America champion brings his fearless attitude and high-performance racing background into a new genre of motorsports. Dodge’s entry into the GRC parallels the debut of its all-new 2013 production Dodge Dart, which started production at the company’s Belvidere (Ill.) Assembly plant earlier this month. The all-new Dodge Dart offers three state-of-the-art powertrains that produce up to 184 horsepower and 171 lb.-ft. of torque and provide a sporty, fun-to-drive experience. Powered by a purpose-built 2.0-liter, 4-cylinder, 16-valve turbo-charged 600-horsepower engine mated to a Sedav 4-wheel drive gear box that puts out more than 550 lb.-ft. of torque, the Dart rally car is ready to go. Drivers will participate in an autograph session at 5:45 p.m. followed by heat races at 7:30 p.m. ESPN will provide coverage on a tape-delay basis.